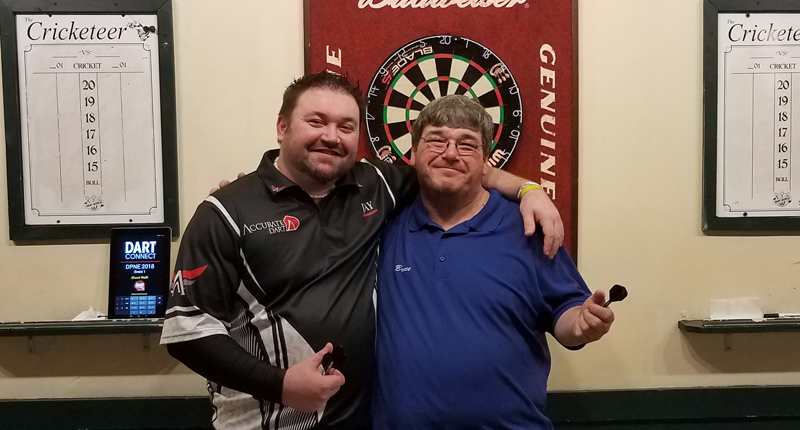 Dutch player Niels Zonneveld won his third Development Tour Title with a victory in Wigan at 2018’s Dev Tour 4.
https://www.dartconnect.com/wp-content/uploads/Zonneveld_DartNews.jpg 669 917 DC Admin DC Admin2018-05-02 14:43:022018-08-15 20:22:09Zonneveld: "...great for the people at home that they can follow matches with DartConnect"
The most decorated player in US darts history, Larry “The Eagle” Butler, hit his second-ever 9-dart perfect 501 in competition at the 2018 ADO World Masters National Finals hosted by the Charlotte Open in North Carolina on Friday the 13th. What’s going through your mind as your throwing a perfect 501? DartConnect was introduced at the Ontario Provincial Championship in St. Catharines Ontario over the Easter weekend. Used for the Ladies & Men’s Singles and Mixed Doubles finals on stage it was well received by the players and a grateful audience. Many agreed it would be great to use for floor matches as well. Welcome to the Great White North. How do you compare to North America’s best? 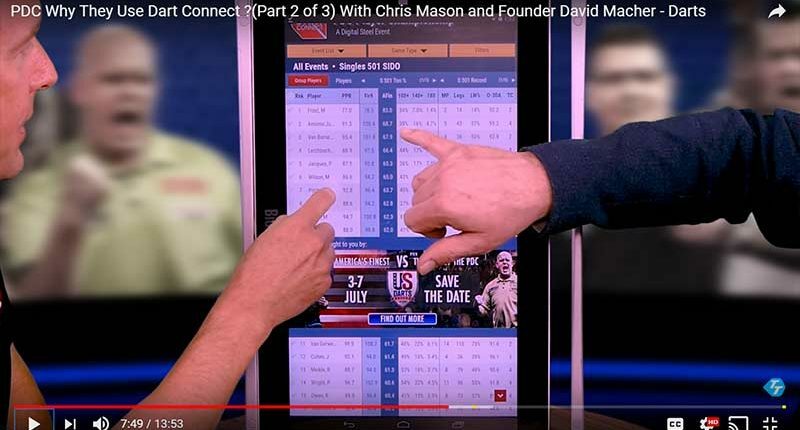 The Power Index lists over 600 North Americans that have been identified by the PDC and DartConnect as having the ability to compete at this summer’s World Series of Darts in Las Vegas! 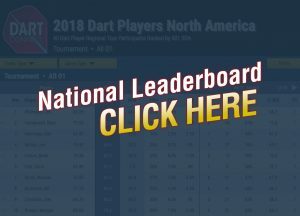 The PDC Power Index was created by the PDC and DartConnect to identify the top 501 players in North America. Using statistical data from a select group of major competitions, this special leaderboard combines 501 performances for players across Canada and the United States. Players appearing on this index have demonstrated enough skill to consider competing at this summer’s World Series of Darts. 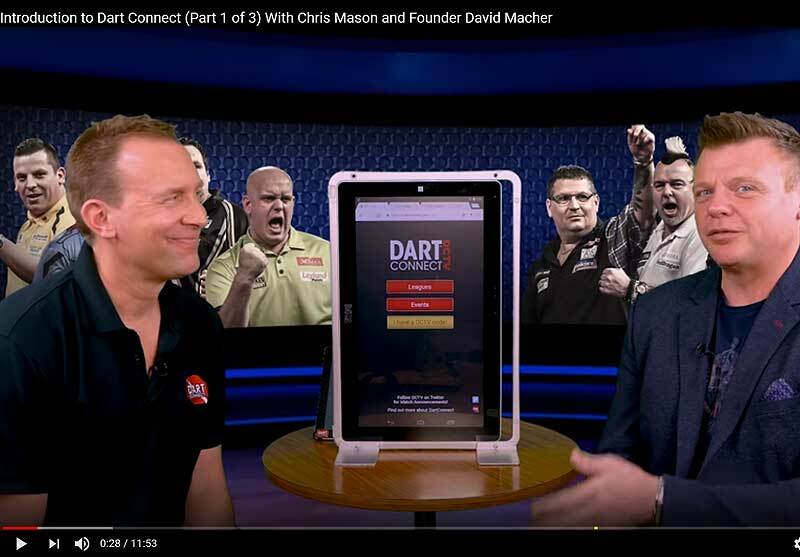 DartConnect’s Gregg Tong is featured in this brief interview with the Weekly Dartscast recorded in Milton Keynes during the PDC Challenge Tour March 24, 2018. CLICK HERE to listen to the podcast (Gregg’s interview begins at the 17:59 mark). DartConnect’s Gregg Tong talks to High Roller Radio about the PDC’s introduction to the DartConnect platform at the 2018 UK Open Qualifiers.